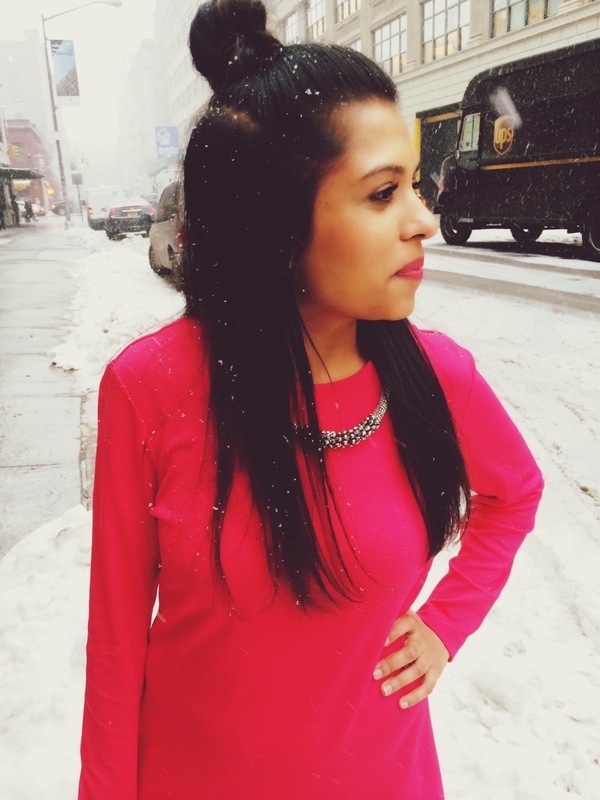 The Office Fashionista: The Office Fashionista Turns One! 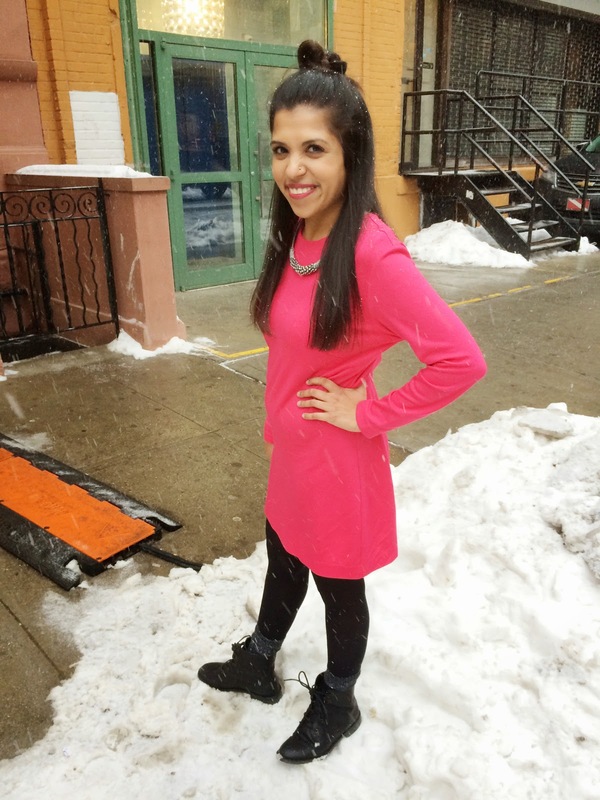 The Office Fashionista Turns One! My goal when starting this blog was (and still is) to inspire you to become an office fashionista and bring a little sass to your work wardrobe! I am so grateful for all the support and encouragement I've received this past year. I owe it all to my wonderful photographer Jessi who is always willing to snap pictures of me in the rain, snow, sleet, sweltering heat, and busy NYC intersections. Also, my friend Lauren who sat with me for hours in a coffee shop helping me build my website from scratch. Thank you to all my friends who are constantly sharing my blog on social media and helping my blog grow. Annnnnd... I'd like to thank YOU! My wonderful readers! Thank you for reading! These pictures were snapped in the midst of a snowstorm the other day. I'm pretty sure I've mentioned this before, but taking pictures in the winter is tough. One of my resolutions this year was to reinvent outfits I've worn in the past. I previously wore this dress last spring - styled differently. Don't be afraid to repeat outfits! 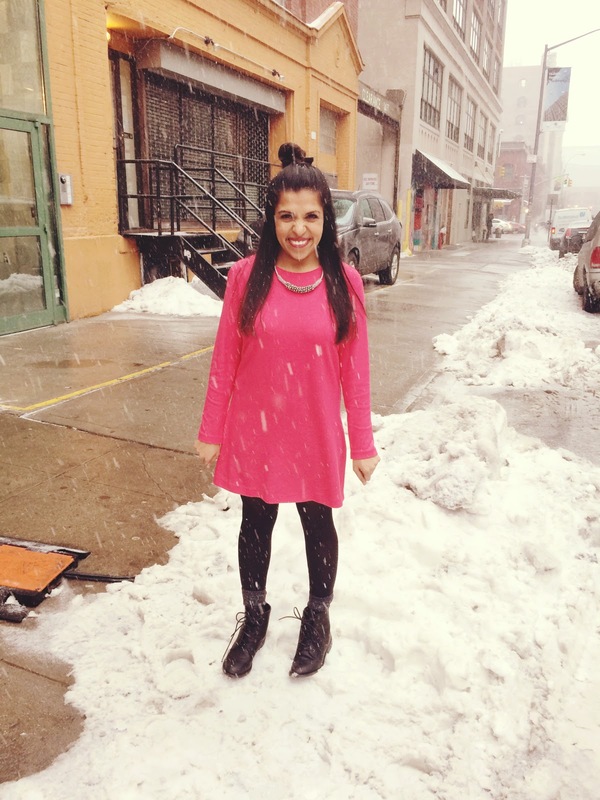 This time, I paired the dress with chunky tights, silver socks, and a cool necklace from my Aunt. Be sure to stop by next week! I've teamed up with an amazing jewelry site and I'll be sharing some of their pieces next week and doing a giveaway! Posh Silver Company + Giveaway!